Board Members absent: Rob Frits, Judy Hammond, Hope Feiner, Jason Combs, and Jamey Smithson. Also in attendance were John Duke, Property Manager and Officer Scott, Springdale Police Department. Designation of Quorum: Rob Stark presiding. Meeting called to order 6:30 p.m.
Resident Robert Stegeman, along with two friends of his recently deceased wife were present to request permission to establish a memorial site for her by providing a bench with a plaque and a tree planted by the JTL lake. Barbara, one of the friends of the wife suggested an evergreen. Rob Stark suggested that the group get together with Bobbye Kelly to get the plan going and then coordinate with John Duke. Funds will be provided by Mr. Stegeman and the two friends. —trash bins left on street side of property: an ongoing problem. John Duke and board members will have further discussion. —missing curb trees: John explained our past problems due to different interpretations of the covenants and by-laws. —“tall, purple weeds” on both personal and private property: especially bad on TOLN- potentially spread to other areas that people try to keep maintained. John Duke and board members discussed the possibility of sending a 10 day compliance letter If the resident then does not comply, turn it over to our attorney. We have had good results with this procedure in the past except for homes in foreclosure. —Postal delivery boxes are dirty and need cleaning or replacing: John Duke will call the Post Office. —Inquiry was made concerning whether or not new residents received copies of the Covenants: John stated that we send them if we know of a new resident coming into the community. If HBM is made aware of a sale and closing the new resident should get a copy with a welcome letter. Nancy Brown also passed on a concern expressed to her from a neighbor concerning the need for another dog waste deposit site in Founder’s Park. John will check to determine if placement of an additional container or more frequent pick-up by Waste Management would be more cost efficient. Gail Edmonson was here to follow-up on the possibility of some small business owner’s living here in HBM to be able to set up displays and/or tables at the annual picnic in May. These people are sole proprietors and not corporations. John Duke has additional information in his report. Applicants will need to send their information to Gail and then John could send out an email blast. Gail submitted written specifications that are attached to this month’s minutes. Fireworks Show: John Duke stated we needed to make a commitment today if we want to use the same company. The cost is the same as last year and they do carry the insurance. Everyone seems to be pleased with their production. Ralph Gresham moved, seconded by Rob Stark to hire the same company as last year for the Fourth of July Fireworks show. The motion passed 5-0. Secretary’s Report: presented by Nancy Brown. The minutes were emailed to board members for their review prior to tonight’s meeting. Jerry Martin moved, seconded by Rob Stark to approve the February 2015 POA minutes. The motion passed 8-0. Treasurer’s Report: The financials were sent via email by Alicia for the financial committee’s approval. Jerry Martin stated that it looks like we are off to a good start. Jerry Martin moved, seconded by Rob Stark to approve the February 2015 financials. The motion passed 5-0. New website (Discussion) – See Communications Committee Report. Crumpacker Park Irrigation – Work beginning the week of 3/23. John also stated it also may start the following week. Morgan can use existing power at pavilion to set controller for irrigation at pavilion. The cost will be approximately $400.00. A group of Sharon’s friends would like to plant a memorial tree and place a bench in JTL lakes area. $500 request from POA for prizes – within John Duke’s purchasing power. $250 request for new bunny costume – the costume is very worn & frayed and needs to be replace. This is well within John Duke’s purchasing power and he will take care of the new costume. Dawn Rhodes, resident, has agreed to help with various color and paint combinations for the pool house interior and will be attending the meeting. Counter top replacement for bathrooms and meeting room. Permanent Shade (See Attached with Feb 2015 minutes)-1/2 or the down payment has been paid. Trees (Additional discussion at 3/23 meeting)- Discussion followed concerning the purchasing and planting of either Shumard Oak or Black Gum/Black Tupelo in the Crumpacker Park or Founder’s Park areas. Jerry Martin moved, seconded by Bobbye Kelly that John Duke should inquire and price up to 10 Shumard Oak trees for up to $200./tree or $2000. for Crumpacker Park and 7 Black Gum /Black Tupelo trees for Founder’s Park. The motion passed 5-0. Hellstern Middle School East Program (See Attached) – John received pictures of the smaller signs proposed by the students and where they suggested placement on a street map of HBM. It was decided that we are declining the installation of such signs in HBM due to covenant restrictions. Proxy procedures – When Alicia Hines sends out the notices to the residents about the annual meeting, it will include information concerning procedures for proxy votes. Lakes Report: reported by Ralph Gresham. Ralph brought the section of the broken pipe for everyone to see. It was quite large with extensive damage. He reported that the fix was 95% completed and that we still don’t know the cost for the repair. Hopefully, we will be able to recoup some of the amount. The lake by the Maples is rising but as yet, there doesn’t appear to be any fish loss. It is also time to turn on the lake pumps for the summer. The pump that Ralph discussed last month is still leaking and needs to be packed. He will get All-Around to do it. Thanks to Ralph Gresham and family for relocating one of the benches to the other end of the concrete pad (so that both benches are together) and the pergola/swing to the opposite end. Fire Pit: We have been requested to purchase a portable metal fire pit for that park, at a cost of about $125. The Board approved the purchase of a portable metal fire pit and big flower pot at a combined cost of not more than $200. Reservations: Shouldn’t residents be able to use the meeting room free of charge like they do with our other facilities? We do need a reservation schedule and cleaning deposit. We also need procedures in place to see that the room is ready for the reserved activity—clean floors, bathrooms, trash emptied, and an adequate supply of toilet paper and paper towels. Then check to see that it was adequately cleaned up after the activity. After a lively discussion, most were in favor of discontinuing the fee, but it was tabled until next month so that more board members could consider it. Art: Need art work for the meeting room and a framed photo of the 2014 Har-Ber Ducks with their trophy for the entry. Approved. Property Manager says he knows several HBM photographers who would probably be willing to donate their HBM photos. He will contact them. Bobbye requested they all be matted in white and framed in identical black frames to coordinate with our new décor. Furniture: Need a couple of card tables. Decide whether we want to replace the old worn wicker furniture with something similar or with more chairs like we already have. It was decided to replace the wicker furniture with similar pieces. Property Manager will submit several designs for approval. Since current straight chairs are heavy, do not stack well, and a lot have torn upholstery, PM will check into replacing them with folding stackable chairs. A total of $500 was approved for furniture. Bobbye suggested donating, rather than trashing the pieces we replace. Annual Meeting: Let’s have the annual meeting in Founders Park and hold “open house” at the pool house during the meeting. We could use it for voting, fishing permits, whatever, out of the wind and weather. All were in favor. The Builders Guide 2.4.3 says Developer will plant trees on Founders Park Dr. The maple trees on the west side have all died and been removed. Recommendation: Plant seven black gum and/or red oak trees to replace the missing maples between Highway 412 and JTL Parkway. Those trees are supposed to have bright red foliage in the fall. Our current supplier plants 1-1/2 to 2” caliper trees for $150 each. Approval granted for nine black gum, aka black tupelo trees. Discussed with Property Manager the ruts under the swings in the Crumpacker Park playground and the ruts that hold water under the swing close to the gate just outside the little playground by Ross Lake; he will explore ways to control that—maybe rubber mats. Also reported to him that the gate to the little playground barely opens and is scraping the concrete; two of the trees there have plastic lock straps left after the trees were planted and are now embedded into the bark. Property Manager will take care of the gate and tree problem and will look into rubber mats to place under the swings. Jerry Martin suggested the Crumpacker Park swings also be lowered a couple of links. Recommend we dig up and relocate some of the trees that the City will take out. Some need to go to the west of the spruce trees mistakenly limbed up (mutilated) by All Around last year. Others could go into the remaining green space south of the sign and along the little creek for stabilization. After discussion, it was agreed that it would cost too much to do this. Communications Committee: presented by Rob Stark. Have thoroughly tested the resident sign up process to ensure that residents don’t have problems with registrations when migrating from the old website to the new website. This includes registration forms, email responses, and the approval processes involved. Have exported email addresses from the old system into the new system and created a list called “Legacy Website Email List”. This list contains 711 residents. It will be used to send out the first email to residents with an announcement about the website and instructions on how register with the new site (including links to the sign up form). I have created draft posts for the website on a number of stories in order that we may have some content on the site when residents see the website for the first time. These include: 2015 Easter Egg Hunt, 2015 Annual Meeting, Crumpacker Baseball Field To See Improvements, & Join Us for the 2015 Har-Ber Meadows Fireworks!. These are drafts that can be published to the website when the content is ready. More drafts will be created as ideas for content come about. 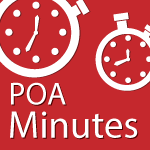 I have worked with Nancy Brown to archive the POA minutes in textual format so that they may be tagged and searched. I have worked with Bobbye Kelly with posting an article she has written for residents called “Time to Plant Trees and Shrubs” which gives an overview of various aspects of planting trees in Har-Ber Meadows including tree types, best practices, and rule/guidelines. I am currently working with Jillian Young on a post concerning Har-Ber Ducks Program. Fixed spelling, grammar on public pages. The task manager is 50% done. Administrators can use the old system until it is completely ready. I estimate it will be 1-2 months at the most. The public and resident functions of the website are in place to move forward and so the website will be functional to go live within the next month. I would like to see more published content before the announcement, but it is not totally mandatory. There are administrative processes that still need polishing/development but the lack of this is not essential to launching the website and being beneficial to residents. I am in need of people to provide content. They do not need to be proficient in website design or programming. They just need to know how to copy paste their content into a post form on the website. I am willing and able to provide support for authors do this. I have successfully worked with our first author, Bobbye Kelly in navigating this process. It would be great for communications committee members to help with grammatical and spelling errors prior to launch. My main focus has been on functionality, and so there may be problems in this area. John Duke added he will look at Shumard Oak for Crumpacker Park and put on the website. With no further business, the meeting was adjourned at 8:45p.m..
Respectfully submitted this 27th day of April, 2015.